It's with a sneaking sense of shame that I confess I'd assumed this was going to be an adaptation of Richard III by men in drag. The clue as to what it is actually about is in the title 'Drag King' Richard III. This is a less-told story, the marginalised even within the marginalised: female to male transition. The play, written by Dr Terri Power, is an examination of the transition of her friend Laurie/Laurence (Anne Zander) in the late 80s and early 90s. Told from the lesbian perspective 'La Femme' (Bonnie Adair), we see two characters explore gender roles; one with blush, lipstick and dresses, the other with hormones, scalpels and surgery. Framing all this is Shakespeare's paragon of self-loathing, Richard III. 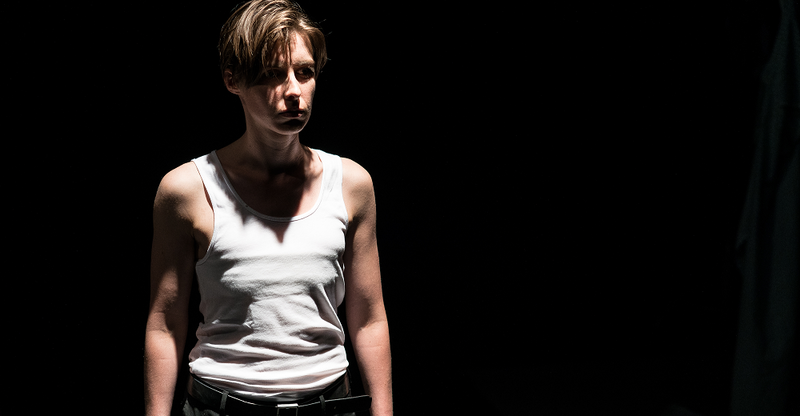 Power treats Richard's twisted, deformed husk of a body as a literary reflection of the 'wrongness' that compels transgender people towards transitioning. With just two actors and a sparse set, the play has a tinge of the experimental. Though the underlying narrative of Laurence's thrums away in the background, we frequently digress into fragments of performance art, which slides back into a slice of Shakespeare for a couple of minutes before returning to a two personal confessional. The upshot is that you're never sure of your footing, the constant cycling through different modes, moods and intensities keeping us engaged. Consequentially, the shifting, occasionally fractured, dramatic structure reflects the themes of transition and metamorphosis inherent to the subject matter. 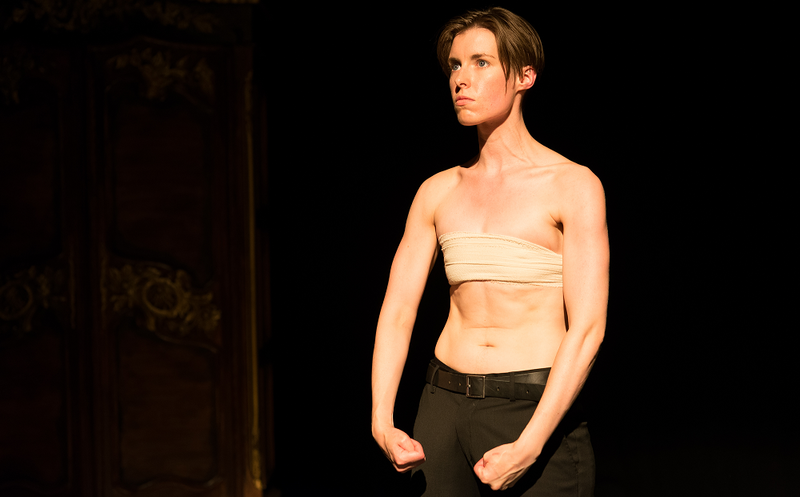 At the heart of Drag King Richard III is the concept of gender as a social construct rather than innate biology. The idea of an intrinsic masculinity or femininity is an illusion; roles prescribed by societal conditioning as opposed to preordained by 'nature'. Power initially plays this in a minor key by showing her stage surrogate, usually dressed down in ripped jeans and a loose-fitting vest top, going 'femme' for a night out. A woman putting on a dress, tights and a bit of make-up isn't exactly rocking the boat, yet even this subtle transformation gains power from the context. In pretty plain terms, we're shown how even adopting conventional gender norms sends out a complex tangle of social signals: she's up for it, she wants attention, she's looking for fun etc. If doing something as simple as this causes ripples, how does changing ones gender completely? Given the depiction of Laurence it's like tossing hand grenades at your friends and family. The late 80s setting means that none of the characters have any idea how to approach the idea of a woman transitioning to a man, no support groups, existing advice to follow and no internet to consult. Further wrinkling things are that this is all taking place in Georgia - a state not exactly renowned for it's progressive stances. So Laurence's parents, having just about managed to tolerate her coming out as gay, disown her altogether. Even her gay friends find the notion disconcerting - with the straightforward and fascinating observation that if they love a woman that becomes a man, does that make them heterosexual? It feels like everything is spinning outwards into recriminations and mutual suspicions, Laurence erecting barriers between himself, his friends, family and society in general, cauterising the amputated stump of her old gender by signing up to the US Military to take out his frustrations on the Middle East. Kicking back against society's expectations of her as a woman, Laurence adopts hypermasculinity. He's angry, aggressively sexual and domineering - rasping through gritted teeth how he wants to "break" women. This is the weaponisation of gender, fashioning every expectation of of manhood into a club to beat us with. Zander is excellent casting for this role - her features are like a rack of razor blades, her blue eyes wide and confrontational, her body like a high tension cable. As she stalks the stage she makes eye contact with the audience - when she's locked on to you, you become a deer on a road at night transfixed by the car bearing down upon it. Her command of Shakespeare is also deeply impressive, imbuing dialogue like "cheated of feature by dissembling nature / deform'd, unfinish'd, sent before my time / into this breathing world, scarce half made up" with spiky fervour, leaving us no doubts as to its relevance to the transgender experience. There's a clarity of vision to this performance, powerful confidence faintly leavened with a humanising tinge of self-doubt. The a post-show discussion afterwards proved to be as fascinating as the play itself. Chaired by Del LaGrace Volcano, and featuring director Roz Hopkinson, the cast and Dr Powers they pick through what the meanings of contemporary gender. Volcano's mere presence is a perfect rebuttal to those with a deathgrip on the idea of gender as a strict binary, effortlessly straddling masculine and feminine. The most illuminating part of the discussion was an explanation of why female-to-male transgendered people are marginalised compared to male-to-female. Volcano laid out that men like Eddie Izzard and Grayson Perry are considered 'brave' when they don feminine signifiers. The compelling argument was made that this bravery arises from the idea of consciously rejecting masculine privilege in favour of the 'lesser' femininity. Conversely, women seizing masculine privilege are seen as interlopers, unfairly occupying the positions of power. Zander explained that she saw this as a straightforward symptom of patriarchy - an analysis it's difficult to argue with. As I left I had a mouthful of intellectual gristle to munch on. It's easy to march through life accepting that society is the way it is because it's the way it is. This is the unexamined life and it's boring as hell. Frolicking in fuzzy gender boundaries is a fantastic way to reveal your own ingrained prejudices, even if it is just donning a suit or a dress and heading out into the night. 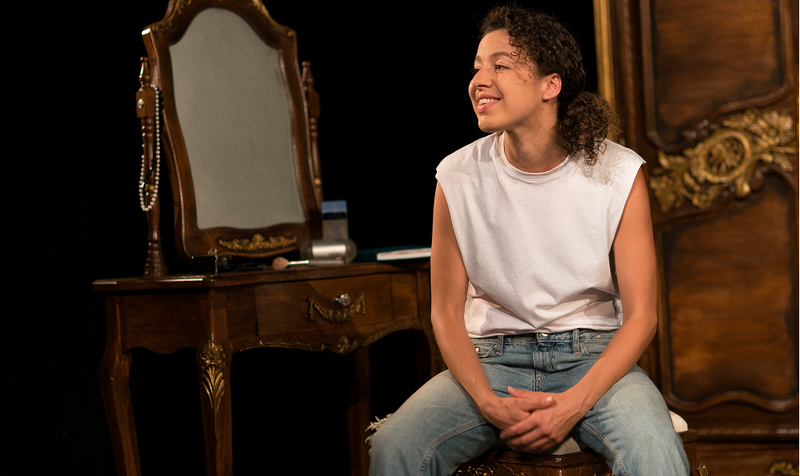 Drag King Richard III manages to do a hell of lot with very little time, telling a deeply felt personal story while getting into the nitty-gritty of wider gender issues. If you have an interest in trans rights, sociology or gender politics you should absolutely check it out. 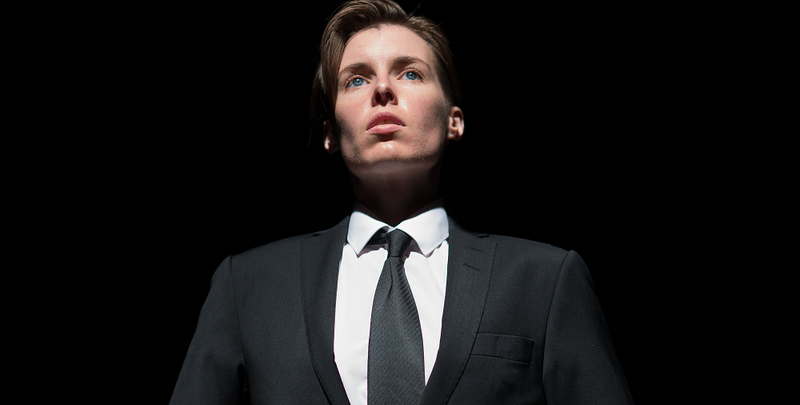 Drag King Richard III is at Riverside Studios until 3rd August 2014. Tickets here. All photography by Jamie Scott-Smith. Did you consider using the best Bitcoin exchange service: YoBit.